Say hello to Bouncy Castle! 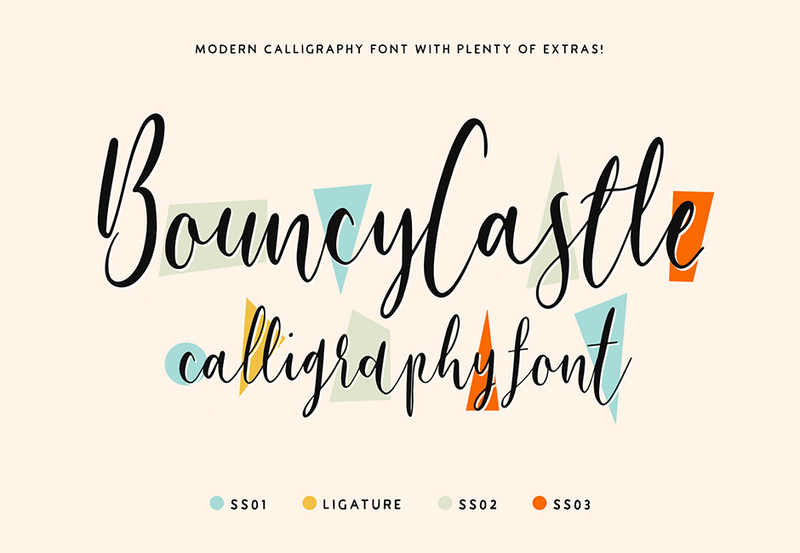 A playful, handwritten, and modern calligraphy font family. Bouncy Castle has four sets of alternative letter styles to effortlessly switch between for maximum creativity and authenticity. The family looks incredible within wedding and event invitations, flyers, printouts, branding, apparel, and everything in-between. It’s a truly flexible family, and I know that you will love it as much as I do. No special software is required to access letter alternatives: The calligraphy font set has been split into 4 individual fonts, making life a whole lot easier for you to switch between all of the wonderful letter combinations to truly bring your work to life! File size is approx 589KB (1MB unzipped), offered as a single download.